Canonburycreations: Ist Xmas card of 2015! Ist Xmas card of 2015! for you this time... with a little personal choice for you too! DO keep your designs uncluttered and remember to include that white space! I embossed a piece of lilac card and matted it onto black and silver card and cut it into a banner. The bauble is a MB one that I cut twice in black and silver to give the shadow effect and the flourish is a Marianne one. 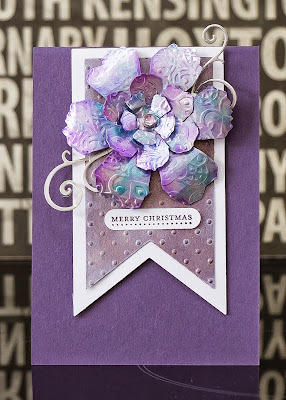 The sentiment is an SU one and I added a tiny bit of glitter to the embossing. Hello, friends! Welcome to CASE-ing Christmas! We are a weekly challenge devoted to the holiday season--year round! ;) How does this challenge work? It's easy! We give you a card to CASE and you CASE it! Look at the CASE card photo. Be inspired by some element of the card. This could be colors, layout, image, etc. Make a card based on that inspiration. See! Easy peasy! We cannot wait to see what you have for us this week and each week this year! Are you ready for this week's CASE card?! Have a good weekend and I'd like to welcome Mary who has kindly joined my followers. A lovely card, good for you getting Christmas started early. Beautiful, striking and totally gorgeous. Beautiful card Val. Very stylish and elegant. 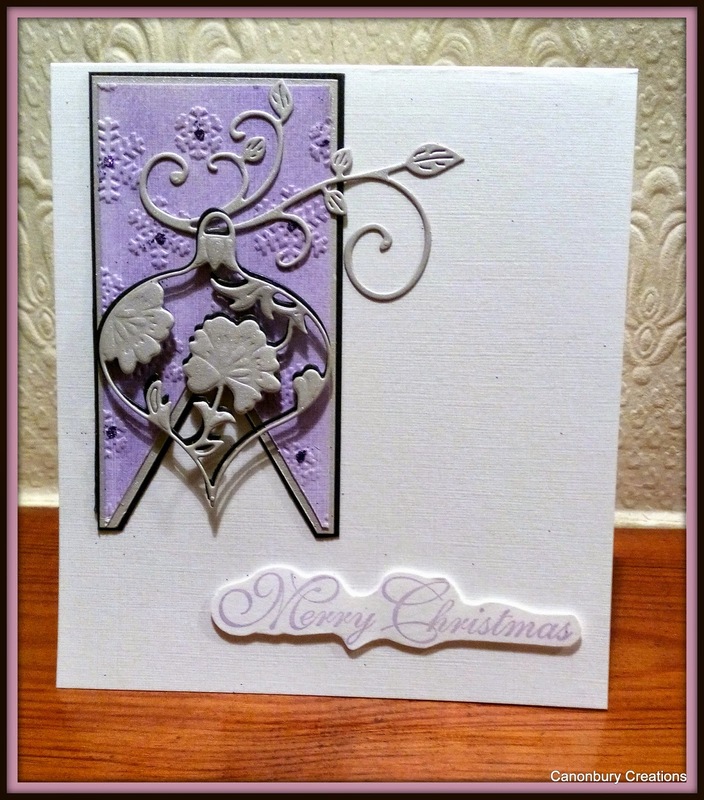 fabulous card, val... a wonderful CASE of the inspiration card! You CASE'd this very well and I like your resolution to a seasonal card each week - I'll be watching out for them!! A superb interpretation of Pat's card !! I love your clean style! Thanks for joining us at CASE-ing Christmas this week. Great card Val, love your take on the Pats card. Thanks for joining us at CASE-ing Christmas. I'm sorry this is such a tardy visit Val. Beautiful colors and CAS design! Thank you so much for sharing with us at the CASE-ing Christmas Challenge! Hope to see you again!